When you feel a migraine coming on, you only have one thing in mind: “it has to stop, otherwise I will lose the whole day.” But what medicine to take, and when? “Do I need a prescription?” This section presents treatments you can use to stop an attack. Acute treatments are used when needed, during an attack, whereas preventative treatments are used on a daily basis to reduce the frequency of attacks. An acute treatment is a treatment used when needed to stop an attack at its onset. Read more to understand the difference between an acute treatment and a preventative treatment. What can I take to stop a migraine? There are many types of acute treatments. Some of them are available over-the-counter, some require a prescription. Read more for a list of available treatments. A downloadable version is also available. Every migraine sufferer is different and requires a treatment tailored to his specifications. The best way to find out the right medication is trial and error. Read more to know how to evaluate the efficacy of your acute treatment. In order to treat your attacks, you have to be able to identify them. Are there some that are worse than others? Can you describe the onset? Being able to answers these questions help you take your acute treatment properly. Read more for a description of migraine’s phases. What are the triggers of a migraine attack? Being able to identify your triggers can help you avoid migraines. How can you identify them? Keeping a migraine diary is very helpful. Read on to know more about triggers. I take medication against headaches 2-3 times a week… is it dangerous? 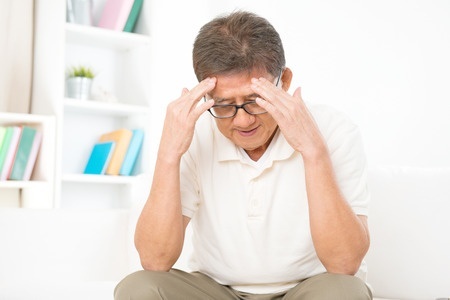 If you take an acute treatment more than 3 times a week, and you have a headache every other day, you are at risk to develop drug-induced headaches. No treatment is 100% effective. It happens that attacks are very strong and do not respond to usual treatments. What can you do? I have frequent attacks which prevent me from enjoying life. Should I consider a preventative? If you have several attacks, if your attacks negatively impact your life, you should then consider taking a preventative treatment. This treatment is taken on a daily basis and aims to prevent attacks from occurring.